Boxes upon boxes filled with the fossilized remains of a mastodon that died in Virginia more than 18,000 years ago are being hauled up the steps to Virginia Commonwealth University's Virtual Curation Laboratory, where the massive Ice Age animal's fossils—including the tip of a tusk, a very worn tooth, toe bones, a rib bone and a mandible—are slated to be 3-D scanned. 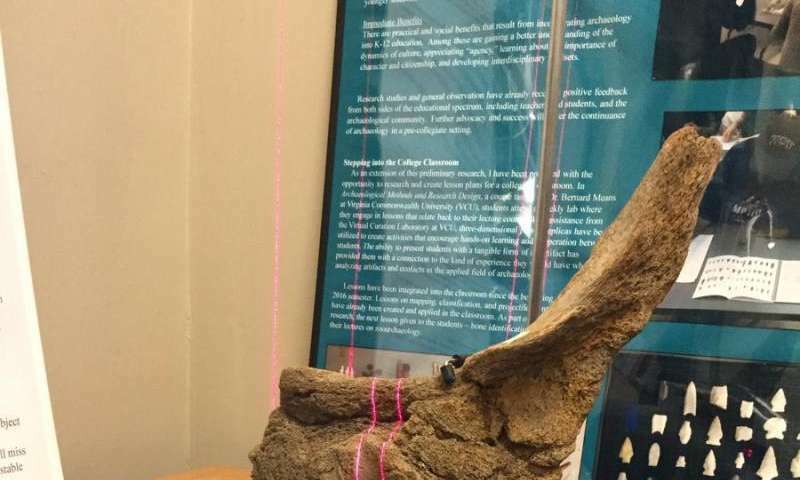 "Mastodon," said Bernard Means, Ph.D., director of the lab, which specializes in 3-D scanning and printing of historic and archaeological objects. "It's what's for breakfast." The mastodon's tooth was first discovered in 1983 by a bricklayer named Lawnell Hart, who then enlisted the help of College of William and Mary geology professor Jerre Johnson, Ph.D. Hart and Johnson visited the site again and found additional fossils, but the property owners would not grant them permission to conduct a proper excavation. "After we discovered the remains, we did a stratigraphic study, looking at what's the sequence of sediments and so forth … but the owner would not let us dig it up," said Johnson, as he dropped off a sampling of fossils at VCU. "And, as a result, 38 years went by. In my cabinet, I kept that stupid fragment of the jaw and this tooth that was cavity ridden." Hart died in 2011, but Johnson, now a professor emeritus of geology at William and Mary, kept hoping that one day he could return to the site and recover the fossils. 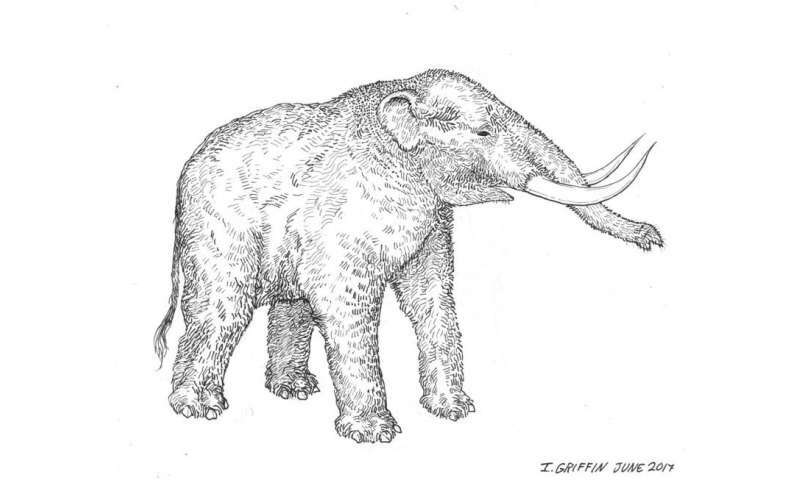 In 2015, the site's new property owners granted him permission, and Johnson, along with a team of volunteers, excavated a staggering quantity of the mastodon's remains, which suggest that the animal was hunted and butchered by pre-Clovis American Indians during the last Ice Age. "It's gratifying," Johnson said. 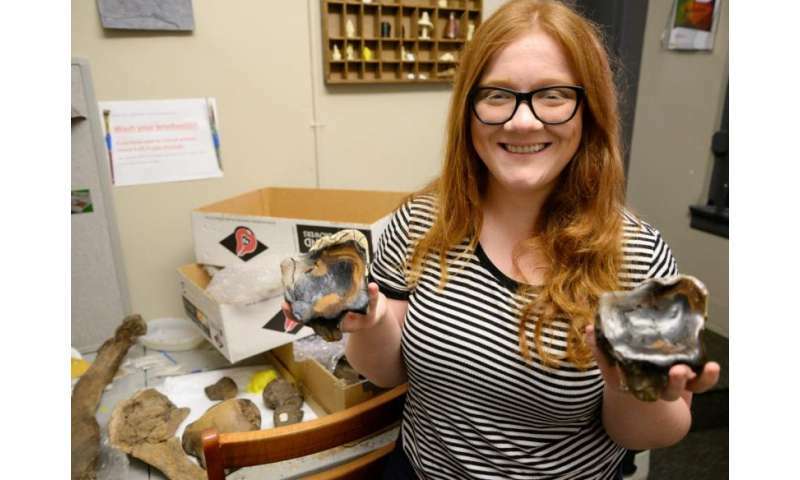 "It's really neat that we have enough parts to basically reconstruct what we think the animal had when it was alive—arthritis and an impacted tooth. We probably know its predator. These are really neat discoveries." "The forefront of research in both archaeology and paleontology is to do detailed metrical analyses of items and also to make comparisons," Means said. "So by 3-D scanning these objects, you can make very accurate measurements and easily compare them to other specimens around the world. It allows you to make virtual comparisons, so you can avoid the trouble of trying to bring everybody together. That's been a tremendous boon." Yet those are just some of the mastodon remains that the Virtual Curation Laboratory has scanned lately. In fact, the 3-D scanning of Ice Age animal remains, and mastodons in particular, has become one of the lab's two major areas of focus, with the other being 3-D-scanning artifacts associated with enslaved people. "I'm currently 3-D printing a baby mastodon tusk that I scanned [from the 1917 excavations]," Means said. "It's in two pieces. It's really cute. 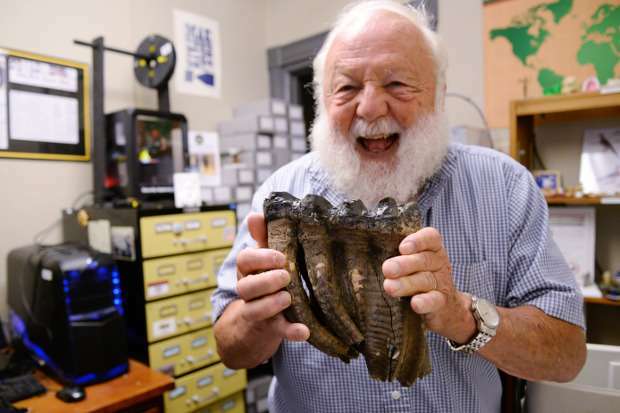 I also scanned part of a mastodon tusk that was misidentified in 1917 as a crocodile tooth." Last year, Means took a trip to the Western Science Center in Hemet, California, to 3-D scan the museum's collection of mastodon fossils, including parts of "Max," the museum's prized 13,500-year-old specimen. Means also scanned a plushy toy of "Max," which he has lately been 3-D printing as a miniature mastodon riding on a surfboard. "He's a California mastodon," Means said. Also last summer, Means visited the National Constitution Center in Philadelphia to 3-D scan archeological artifacts dating to the 18th century in Philadelphia, and Means' lab's 3-D-printed replicas were included in an exhibition in January. "I had actually scanned a mastodon's remains as part of the Philadelphia project," Means said. "They have a mastodon tooth that belonged to Ben Franklin. Somebody told me about it, and I was like, 'Can I scan that?'" 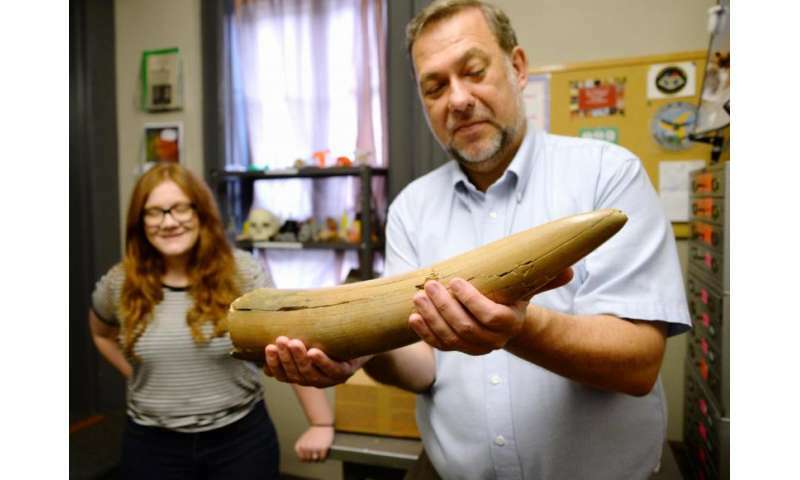 During the first week in August, Means will return to the Western Science Center to take part in an exhibit and conference titled "Valley of the Mastodons," which will feature researchers from across the country who will study the museum's dozens of mastodons. "I started also scanning other Ice Age stuff that they have, partly just because I thought it was kind of cool," Means said. He went on to 3-D scan the museum's mastodon casts and real fossils, which were excavated at Saltville and a site in Darke County, Ohio. More recently, Means has been 3-D scanning fossils of a giant ground sloth in the museum's collection, as part of a project to re-create its skeleton. Certain bones on the right and left are missing, however, and Means has been 3-D scanning the other side's bones, thereby allowing him to make a mirror image model. With the 3-D-printed replica, the museum can make a cast of the needed bone—a process much faster and less labor intensive than sculpting the missing part from scratch. "Everybody who's involved with this Ice Age research, they're all very interested in education and especially STEM education, so they really want 3-D printed replicas [of the fossils]," he said. "One of the items I scanned [last week] in Saltville is something they use when they go to school groups and they're a little nervous about bringing it with them. It's a mastodon rib that shows major damage and then healing. Those are kind of unusual, so it's better to take a replica rather than the original." The focus on mastodons, Means said, is partly because it's simply a fascinating Ice Age animal. "They were only present in North America," he said. "They weren't present anywhere else in the world. They ate vegetation but their teeth are very different than elephants and mammoths. Other elephants have sort of ridged teeth, while mastodons had these blocky poked teeth. In fact, there was a debate during the Colonial period about whether they might have been carnivorous." "Basically, I'm exploring how 3-D technology can be used in archaeological illustration," she said. "I intend to make a guide that parallels Brian Dillon's 'The Student's Guide to Archaeological Illustrating' that explains how 3-D technology can simplify the processes in each of the contexts outlined in the book." Kristen Egan, a senior anthropology major who interned in the lab in the spring, was one of several VCU students who presented their research into mastodons and Ice Age animals at this spring's Undergraduate Research Opportunities Program poster symposium. Egan's poster, "The Founding Fathers Search for Megafauna," describes how Thomas Jefferson and other founding fathers were greatly interested in giant Ice Age animals such as the mastodon. "The founding fathers took the discovery of megafauna in America as a symbol for this country, which told the rest of the world that America is bigger and more powerful than Europe and can sustain more than just large insects," she wrote. "The megafauna helped to shape America's ideology of power, strength, and separation from Europe." At the symposium, Egan brought along a 3-D-printed replica of a mastodon tooth that she painted in Mean's lab. "People were really drawn to it," she said. "Having a 3-D-printed mastodon tooth, it really brought everything to another level where people can really relate to [the research]. You become a little bit more passionate and interested when you can hold something in your hand."